We entered a room with plastic chairs, very common for meetings in Asia. Jesus walked into the middle of the room and squatted down with a big grin on His face and started spinning a peg rapidly in His hands on the ground like He was going to start a fire on the floor. 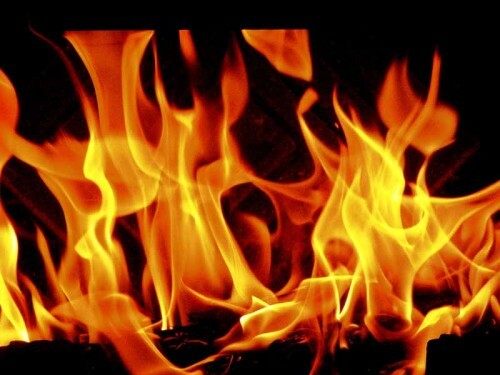 When I saw sparks, I quickly called, “Holy Spirit, would you blow on those flames?” The Holy Spirit blew wind and the flames engulfed the entire floor wall to wall. Suddenly, a mess of snakes left the room, chased out by fire. Then I noticed there were people sitting in the chairs, and as the flames roared, the chairs melted and everyone quickly stood to their feet. As they stood, fire engulfed each from head to toe, a consuming fire which didn’t injure. Soon after everyone was covered in gold from head to toe. It was a sudden, astonishing and marvelous picture of God in action, of revival and the joy Lord Jesus has in this great work. On that same day in Canada, a gifted prophet named Kayle Mumby had two powerful dreams. The Lord is showing us that global revival is coming and it begins with those willing to pray. GLOBAL AWAKENING TO JESUS CHRIST is coming, and AS WE PRAY, the FIRE of GOD will COME! I believe we are going to encounter much more than signs and wonders in this move of God that will sweep the globe. I believe we are going to encounter the Source, the Inheritance of our lives, the Spirit of Truth Himself. All around the world, words are going forth about the fire of God coming, about God encounters, about the river of God sweeping the globe. 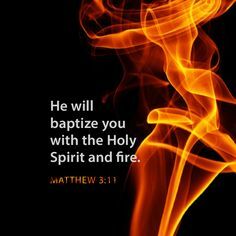 Are you ready to be consumed by the fire, that the words of John the Baptist spoken two millennia ago will be fulfilled? O beloved, won’t you pray? Our Father, who art in heaven, HOLY is your Name! Let your Kingdom COME and Your WILL be DONE on earth as it is in Heaven! Let Your FIRE FALL! Amen! Fire us all up Lord. Holy Spirit come and Break Out. Bring heaven to earth here and now.